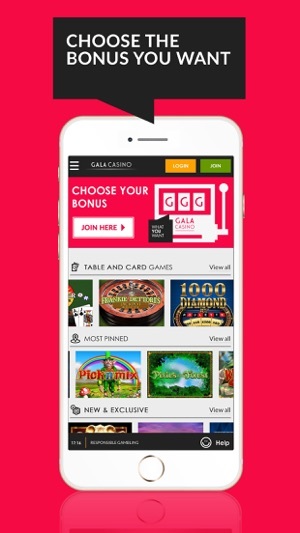 The Gala Casino App is WHAT YOU WANT! ◆ We love giving our customers exactly what they want, when they want and sometimes even if they don’t yet know they want it. ◆ What you want is the games you want to play, not the ones you don’t. ◆ What you want is getting the most from every second of your entertainment time, delivering the gaming fun you like as quickly and easily as possible. ◆ There's more than £20 million just waiting to be won! Huge jackpots are ready to drop on popular games like Jackpot Giant, Gold Rally and Gladiator Jackpot – it’s all there. ◆ We've got over 300+ great Casino games including classics Roulette, Blackjack, Rainbow Riches and Frankie Dettori, exclusive games such as Big Banker, Crazy Pays and Cake Off plus we have the latest and greatest games added all the time. 18+ First Deposit Only. Must opt-in. Min £10 deposit. Max £200 bonus. 30x (deposit & bonus) wagering reqs apply. Wagering on selected Table games only. Bonus valid for 14 days (bonus and winnings removed). Bets covering 67% or more of Roulette table do not count to wagering reqs. Restrictions and T&Cs Apply. 18+ First Deposit Only. Must opt-in. Min £10 deposit. Max £200 bonus. 30 x (buy-in & bonus) wagering reqs apply. Wagering on selected card games only. Bonus valid for 14 days (bonus and winnings removed). Restrictions and T&Cs Apply. 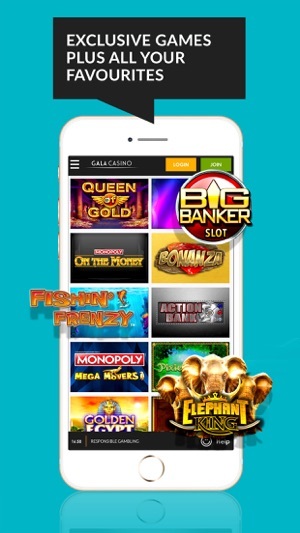 GalaCasino.com is operated by Gala Interactive (Gibraltar) Limited (company number 106322). Gala Interactive (Gibraltar) Limited's address is 2nd Floor, Regal House, Queensway, Gibraltar GX11 1AA. LC International Limited is licensed by the Government of Gibraltar & regulated by the Gibraltar Gambling Commissioner (RGL 010 & 012). Gala is the registered trademark of Coral Group Trading Limited. © Coral Group Trading Limited. All rights reserved. 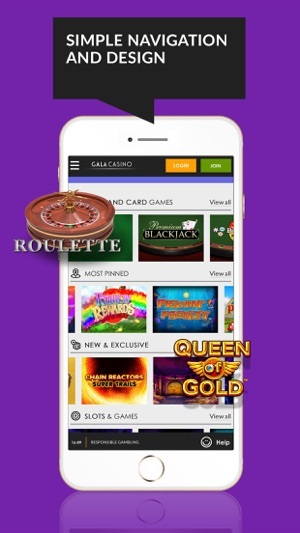 We regularly bring updates to the App Store for your enhanced Casino experience. I always play fishing frenzy on all online casinos and have had many bonus wins in my time of playing. I’ve never seen such small wins ever before in a casino. Not sure if this is because there is not many people playing here or what. but I’m not just talking once I’ve had loads of bonus wins here and never been happy it’s so small it’s not even worth winning this is not just after your first. (Bit of luck) that you normally have when playing on new casinos. You don’t even git that here you lose from the off with wins that make you want to let others no. if your playing regular do not use this casino way better options out there. this must be in the bottom 100 easily. 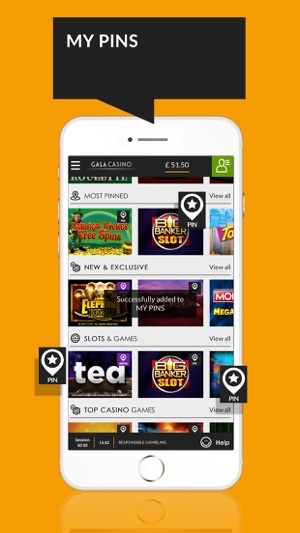 Hi there, sorry to hear you have had a poor experience with our app, Please drop us an email on review@galabingo.com or send us a private message on Facebook and we can look into your issue. This is a fabulous site what I love about it it has a wide range of games/slots to choose from which is far better than some of the competition sites, I would recommend this to family and friends. GalaCasino.com is owned and operated by Coral Group Trading Limited ©. (company number 106322), licensed by the Government of Gibraltar (RGL 059 and 060).